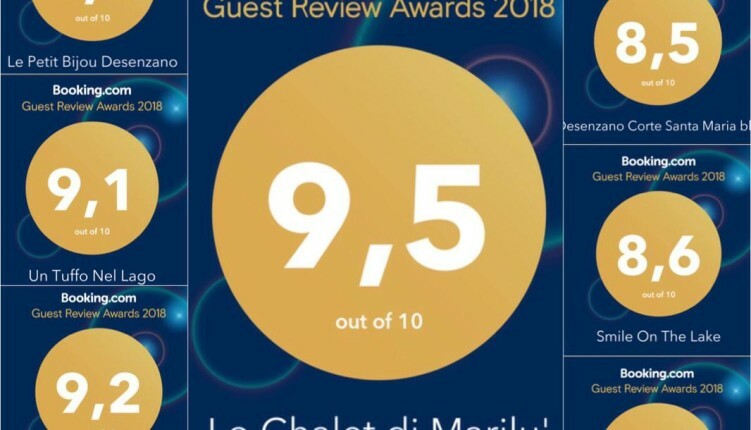 Desenzanoloft wins 27 Awards, thanks to the wonderful reviews of our guests who have used booking.com as a booking portal. Thanks to these results DesenzanoLoft is confirmed as the most titled vacation rental agency in the province of Brescia. Holiday apartments Lake Garda 2019: if you are interested in accommodation for your holidays on Lake Garda, DesenzanoLoft is for you. Holiday apartments for families, groups of friends, couples. We manage apartments for any need, even for very short stays, on Lake Garda and recently also in Verona and Padua. In the holiday homes you will find the new customized welcome kits reserved for our customers. Inside you will find: oil, salt and pepper, sugar, coffee, tea, intimate hygiene kit including ear cleaning sticks, makeup removal pads, nail file. Also shampoo, shower gel, capsules for washing machine and dishwasher and soap bars in stone. Piazza Caduti del Lavoro 1 – 25015 – Desenzano del Garda (Bs). We are located in the historic center, adjacent to the town hall of Desenzano del Garda, in a new, spacious and with a young staff, multilingual and always available for information that you are tourists or owners of apartments.